Choose up to four (4) Pantone imprinting colors printing on PINK wrapper stock. 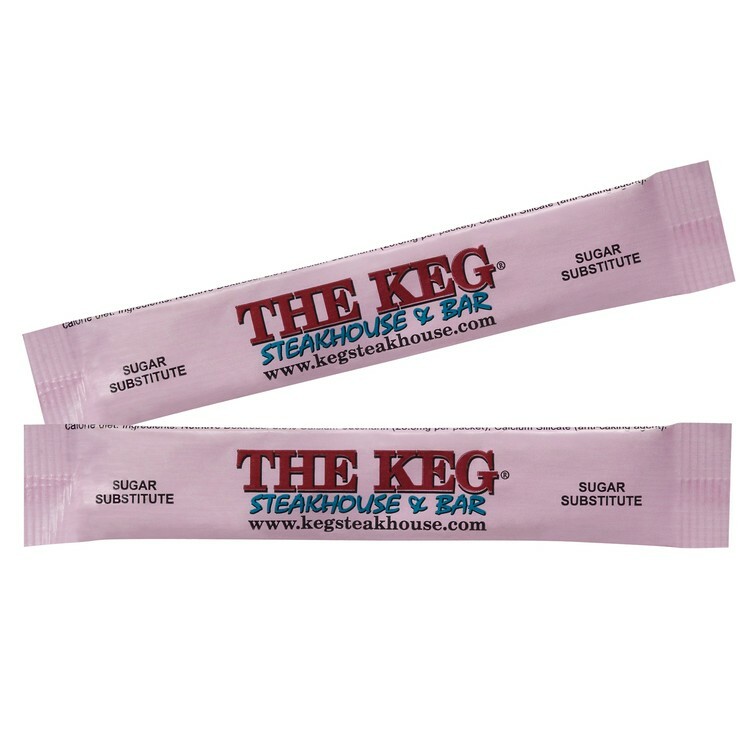 Tubes contain 1.0 gram of PINK sweetener. PMS Color Matching is not possible on PINK stock paper. Choose up to four (4) Pantone imprinting colors on GREEN wrapper stock. PMS Match is not possible on green paper stock. 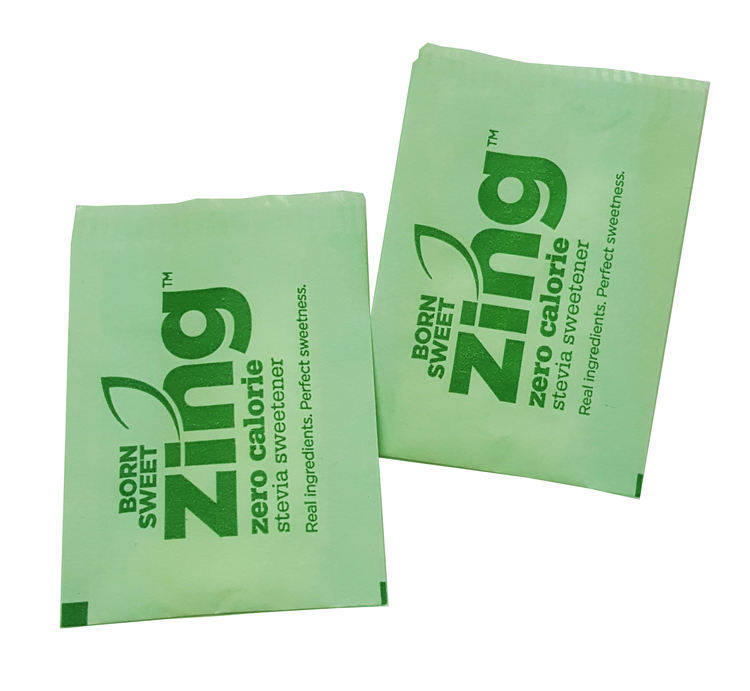 Packets contain 1 grams of Stevia Natural Sugar Substitute. Choose up to four (4) Pantone imprinting colors or CMYK (4-color process) printing on white wrapper stock. 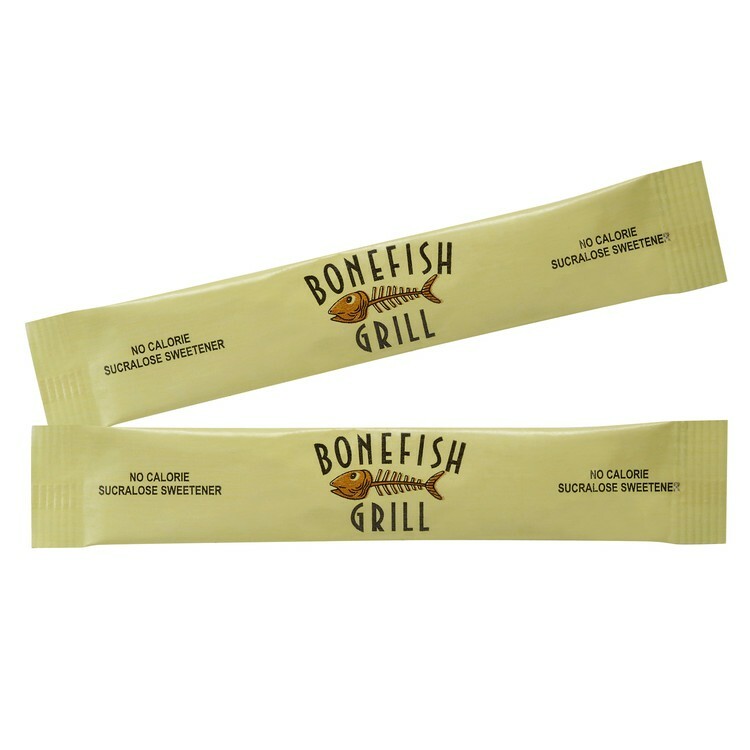 Packets contain 2.8 grams of white refined cane sugar. Choose up to four (4) Pantone imprinting colors printing on YELLOW wrapper stock. 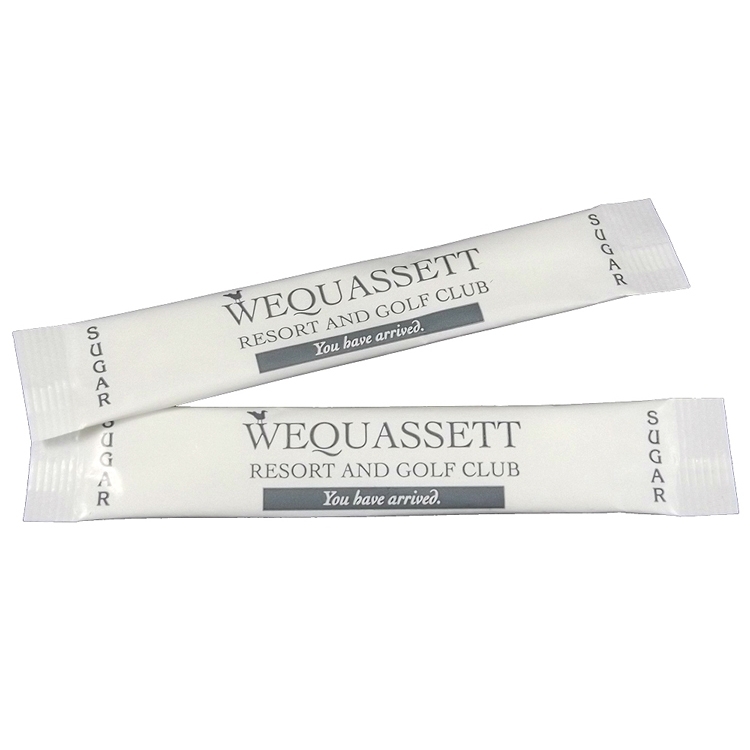 Tubes contain 1.0 gram of YELLOW sweetener. PMS Color Matching is not possible on YELLOW stock paper. Choose up to four (4) Pantone Color printing on BROWN wrapper stock. PMS Color Matching is not possible on BROWN stock paper. 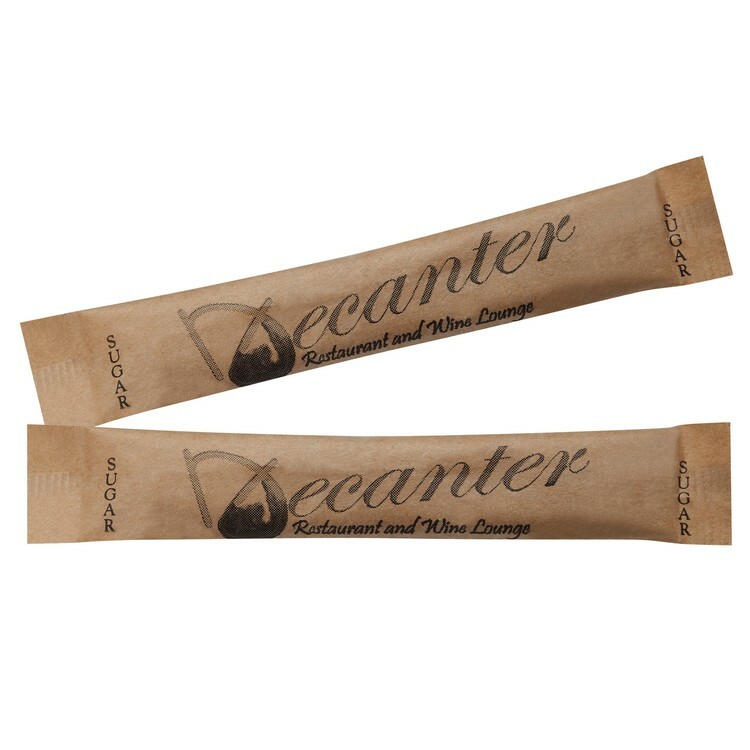 For correct Pantone color matching or CMYK (4-color process) printing uses white stock paper with raw cane sugar. Choose up to four (4) Pantone imprinting colors on BROWN wrapper stock. PMS Match is not possible on brown paper stock. 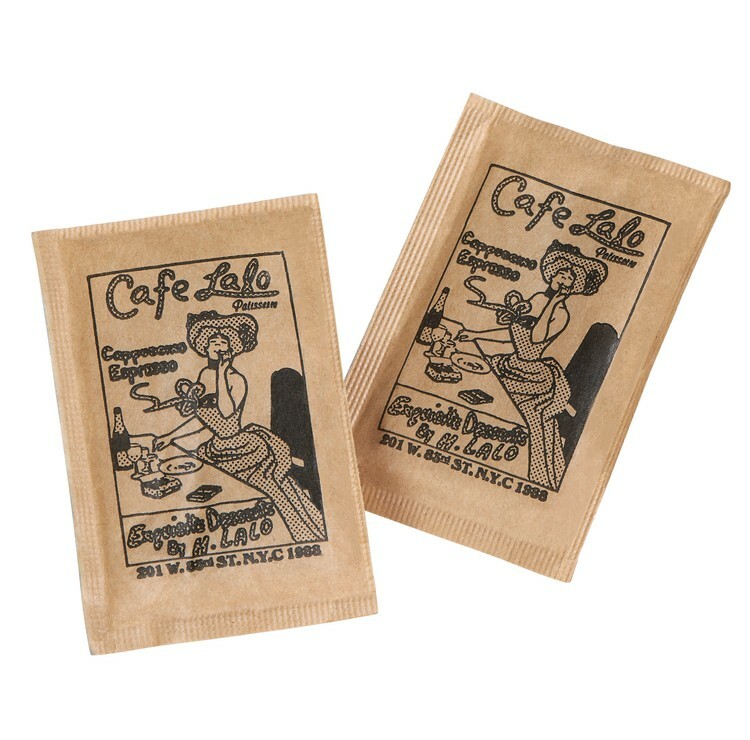 Packets contain 2.8 grams of BROWN natural/raw cane sugar. Choose up to four (4) Pantone imprinting colors or CMYK (4-color process) printing on white wrapper stock. Choose up to four (4) Pantone imprinting colors printing on BLUE wrapper stock. 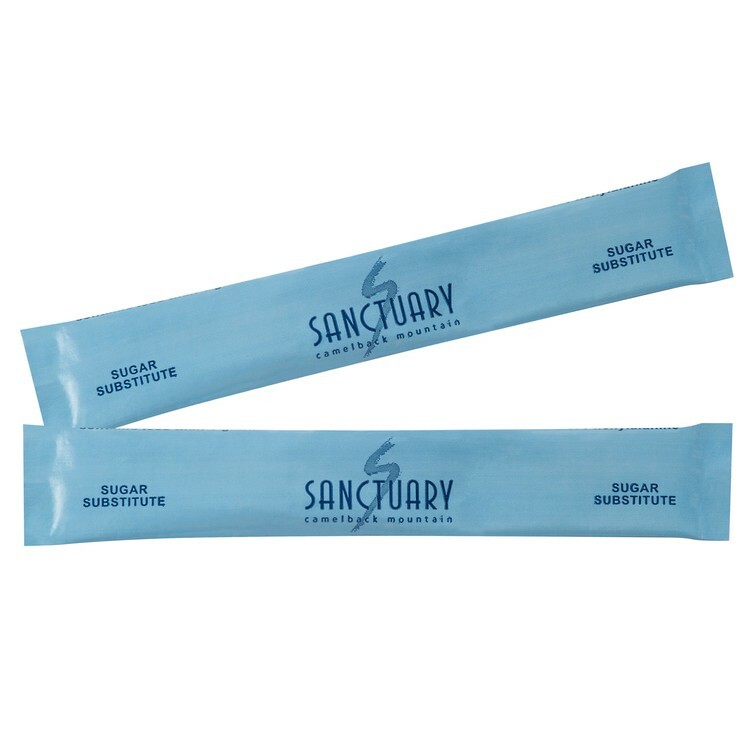 Tubes contain 1.0 gram of BLUE sweetener. PMS Color Matching is not possible on BLUE stock paper. Choose up to four (4) Pantone imprinting colors printing on Green wrapper stock. 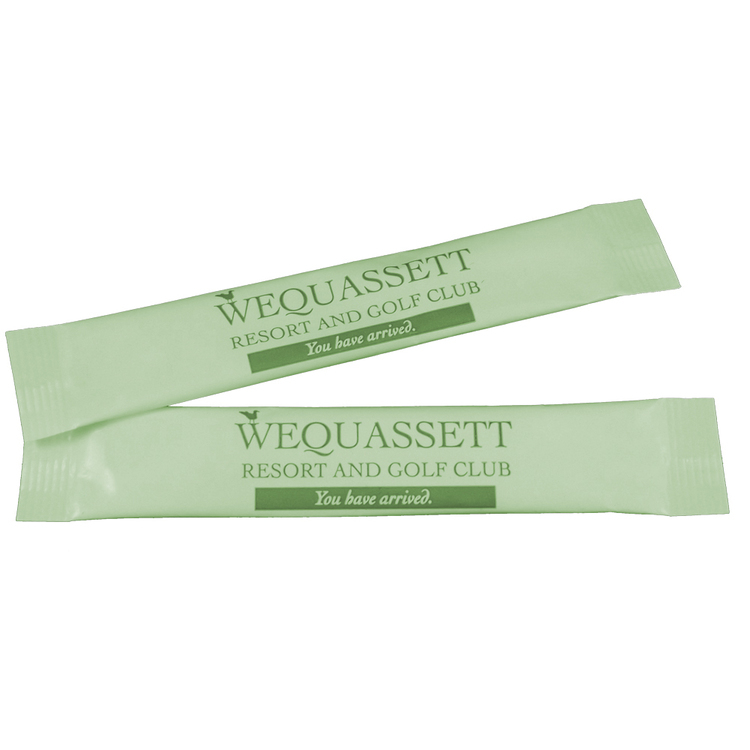 Tubes contain 1.0 gram of Green package Stevia sweetener. PMS Color Matching is not possible on GREEN stock paper.